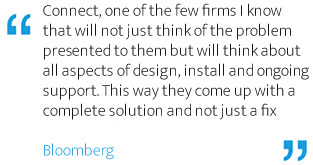 Project Management is essential in successfully bringing about change to business technology. The absence of a management structure governing key deliverables is often likely to harvest further unforeseen costs in the long run. At Connect, we fully understand this. Our regularly scheduled calls/meetings during the lifecycle of a project, along with our methods of updating progress ensure, that our customers are up to date on the latest position of their project deliveries. Connect planning sessions are consultative. We strive to understand any cross-functional inter-dependencies within your organisation and establish methods for delivery that reduce the time it takes to deploy your solutions without introducing unnecessary risks. Our migrations are carefully planned and fully supported, and typically include first day go live support in order to minimise business impact to your users. Our agile project delivery approach is based on delivering requirements iteratively and incrementally throughout the project lifecycle. Our Project Managers are Prince2™certified and our delivery model is based upon Prince2™principles, with an emphasis on tailoring the project environment according to its size, complexity and risk. A Project Manager will be assigned at time of project acceptance and will guide you through the initiation, preparation, execution and closure process to ensure successful implementation of the proposed solution. Initiate – Validation of objectives and handover of the deliverables from the Solution Architects responsible for building the solution. Key Stakeholders are identified, initial contact is made and the project kick off is scheduled. Information gathered in this phase will be derived from the agreed proposal and contract and will be key to successful delivery of the project. Prepare - Delivers the management, quality, communications and specialist standards that will enable the Project Manager to meet the project objectives and achieve customer satisfaction. 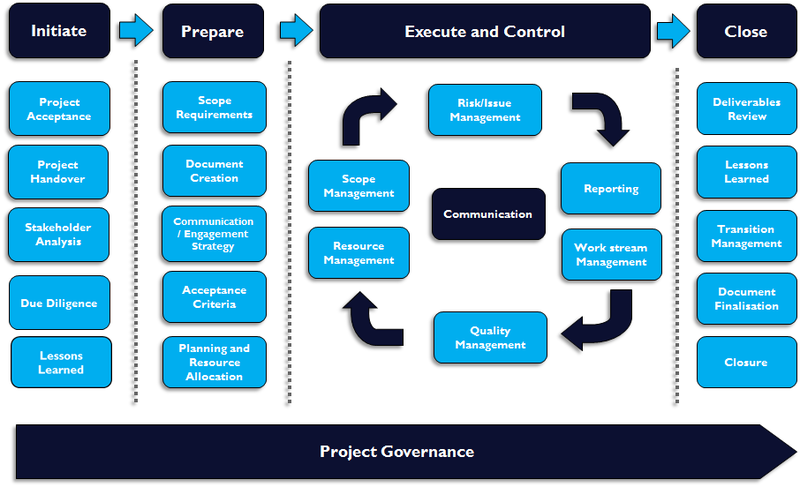 The output of the Preparation Phase consists of the creation of all project documentation such as the Scope of Work, a Project Plan which will comprise a GANTT chart for ease of review, identification of resource and specialist delivery requirements, risk assessment, contingency planning, roles and responsibilities, management reviews, quality reviews, change control and issue management. Execute and Control - The delivery of the project. With the project team in place, the Execution and Control phase will deliver the agreed customer requirements to plan and specification. During this phase, effective monitoring of ‘planned against actual’ tasks will enable close review and control of the project through agreed communications channels. Change control will be formally administered and managed to ensure an auditable tracking system is maintained. Closure – Deliverables are reviewed against the acceptance criteria constructed in the initiate & Prepare phases. Lessons learned are captured and the closure documentation is prepared and issued. All open documentation is finalised, circulated and the transition process is commenced in order to migrate the project into Business As Usual. 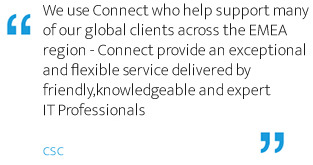 Contact us to see how our Project Management Services can help you.